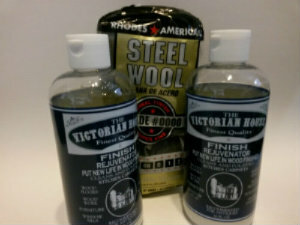 Cleaner and De-greaser for Kitchen cabinets, antiques and wood furniture. Unique Formula of oils and cleaners. Buy Online. Its not rocket science- an oil base products penetrates the oil base finish and repairs scratches and white rings by replacing the oil and making the finish clear again. LASTS FOR YEARS!!! Its a Repair in a bottle. One easy application and Results Last For Years! Eliminate heat or steam marks and moisture damage. Eliminate surface scratches. Its Magic!! If your wood looks bad it can look New again. YOU ARE ORDERING DIRECT FROM THE VICTORIAN HOUSE IN OKLAHOMA. 1. 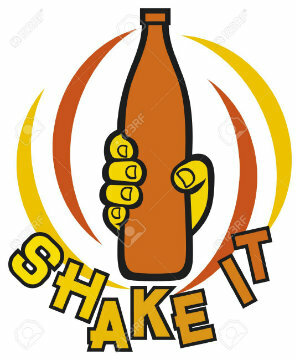 SHAKE IT UP.. 2. PUT IT ON . .. 3. WIPE IT OFF EASY!! Buy direct from the manufacturer. The Victorian House Products. Made in Oklahoma since 1981. Use for any OIL BASE finish. Not for water base paint. Shipped daily- Regular ground USPS. The Victorian House Finish Rejuvenator Saved me Money!! Just purchased a home and of course was on a tight budget so with all the products I read about decided on this and it sounded so amazing I figured it was too good to be true. I am totally pleased with the results. I have passed on your website to all my friends and even the ones who are living in apartments have used it because it is so economical. I only used about 1 and a part on my kitchen so now everyone has had a sample...Thanks for an excellent product. I really like that its made in the USA Im a Texas football fan so Oklahoma is a bit of a stretch. Just kidding. Great Service--Kitchen Cabinet cleaner that Works. Thanks for the Special The Victorian House Products are the best.